These are some common technical questions asked by customers. 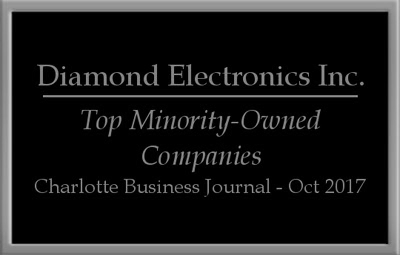 If you don’t find your particular question listed here, contact Diamond Electronics at 704-888-0223. A: The alarm system may be armed in the “Away”, “Stay” or “Instant” mode. Once the system is activated, each monitored zone has the ability to recognize an intruder. Once a zone has gone into an alarm status, the alarm system then dials the Central Monitoring Station and transmits the alarm signal through the telephone line and/or the cellular device. Once the signal is received, the alarm system will wait to send another signal if another zone is activated. Entering your 4 digit code and pressing the (1) key will silence the alarm. You must repeat this step twice to cancel the memory of the alarm before you will be allowed to re-arm your system. Arming the system in the “Away” mode (all devices including the motions detectors are on). Arming the system in the “Stay” mode (all devices except for the motion detectors are on). Arming the system in the “Instant” mode (all devices except for the motion detectors are on and there is no delay on doors for entering or exiting). Q: Why does my keypad display “Not Ready”? A: Your keypad is informing you that there is an open zone and that the alarm system cannot be armed until this zone has been shut. Verify that all doors and/or windows are completely closed and that there is no movement within the range of a motion detector (if motions are included in your system). If the system has had a previous alarm, that alarm is still being held in memory and must be cleared before the system will arm. Q: Why did my motion detector false? A: Movement of objects such as balloons, blinds, and curtains within the range of a motion detector may cause the detector to go into alarm. Dust & spider webs around or inside of the motion detector may also cause the detector to go into alarm. If your motion detector has created a false alarm, please contact Diamond Electronics immediately. Q: Why is my keypad dead (no power) or displaying “No AC”? A: A keypad will typically display “No AC” or become dead when the system has lost electrical current. The outlet should be checked to verify that it is operational. You should also verify if the security system transformer has come unplugged from the outlet. If the outlet is working properly and transformer is secure, a service call will be needed. Q: If my electric power goes off, will my alarm system still work? A: Yes. In the event of a power loss, the system will continue to operate on the battery located in your security panel. In the event your panel battery is low or if power has been out for an extended period of time, a low-battery signal will be received at the Central Monitoring Station and you will be notified. Q: What do I do when my keypad displays Low Battery? A: Contact Diamond Electronics @ 704-888-0223. Panel batteries normally have a life span of 3-5 years. If it has been over this amount of time, it is time to replace the battery. Once the new battery has been installed, the low battery display will disappear after 12-24 hours. Q: What do I do if my system isn’t working correctly? A: Diamond Electronics is here to assist you in trouble-shooting the issue over the phone and will be more than happy to schedule service if the problem cannot be resolved. 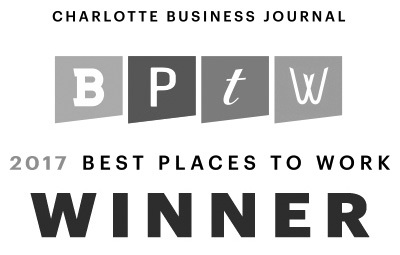 Please contact our office at 704-888-0223 (Monday-Friday from 8am – 5pm). A: Yes. It is your responsibility to test your system to ensure the system continues to operate properly. You must 1st place your account on test at the Central Monitoring Station. Activate your alarm system and contact them after you have completed the testing to verify the signals were received. Remember to clear the memory of the alarm after testing has been completed. Q: Should I contact Diamond Electronics regarding phone service repair or a change in telephone providers (including, but not limited to VOIP)? A: Yes. Never have any type of telephone service repair work performed without testing your system “before” the technician leaves your site. Telephone repair work has the potential to create a disruption in your security system service. When changing telephone service providers for any reason, always test your system “before” the technician leaves your site. Changing telephone service has the potential to create a disruption in your security system service if the telephone line is not properly reconnected to your security system panel. Please remember that when choosing digital phone service, in the event of a power loss, you will also lose telephone service. Therefore, without a cellular unit, your security system will not transmit signals to the Central Monitoring Station during the power loss. Q: How do I change the people listed on my call list or add/delete a code? A: Contact Diamond Electronics by e-mail, telephone or through the website. All account changes must be made in writing and signed. For your protection, your authorized passcode is required before any changes to the account and/or system can be processed.